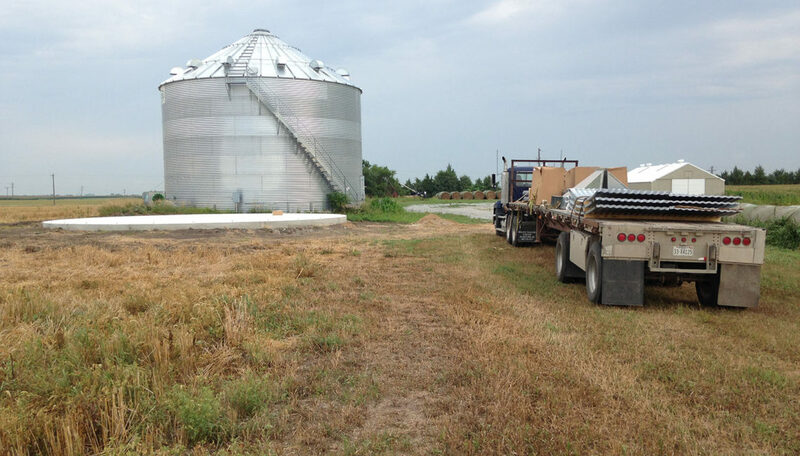 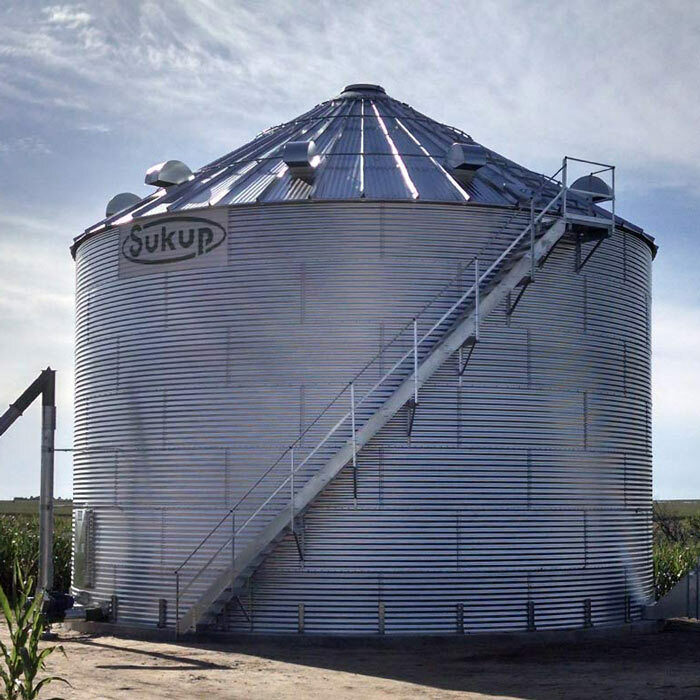 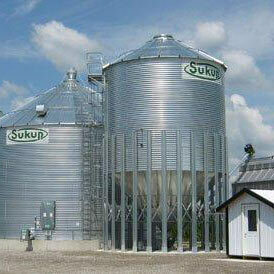 Click the pictures below to find more information about different grain storage bins that we offer. 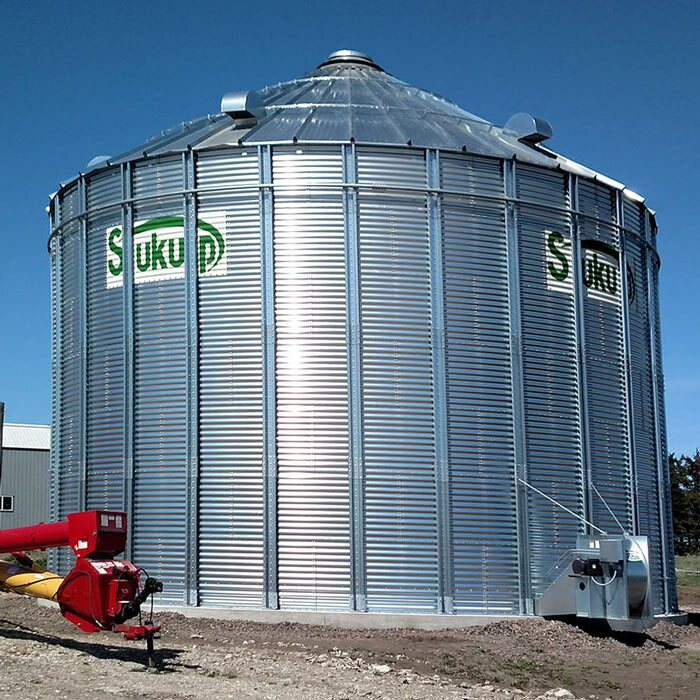 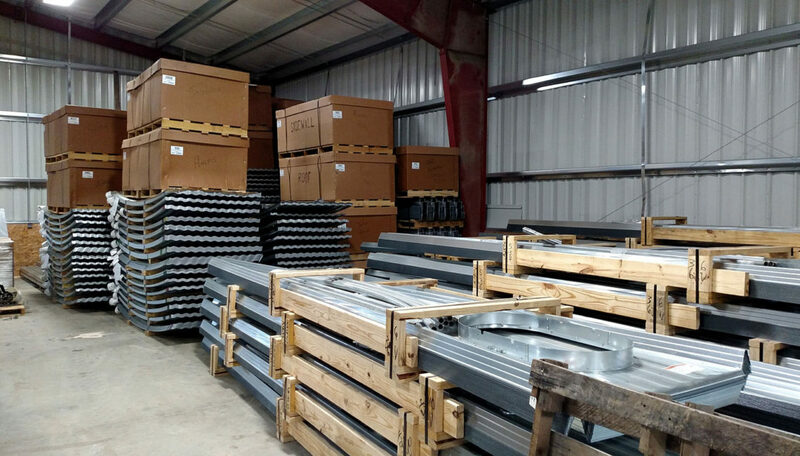 We store your bin until the day of construction. 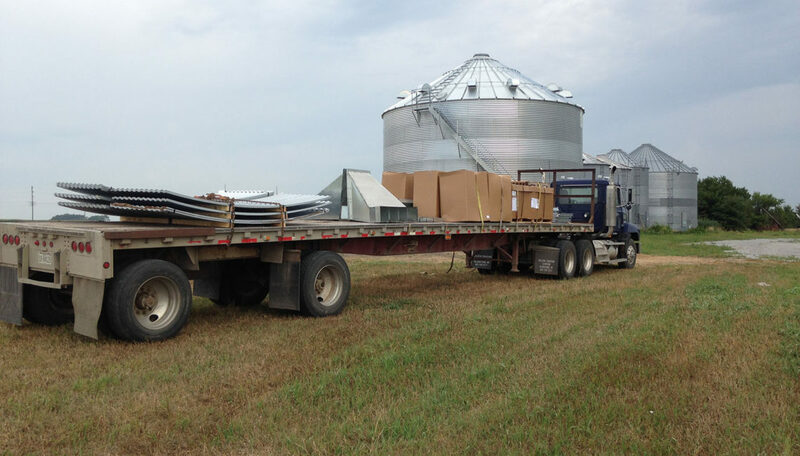 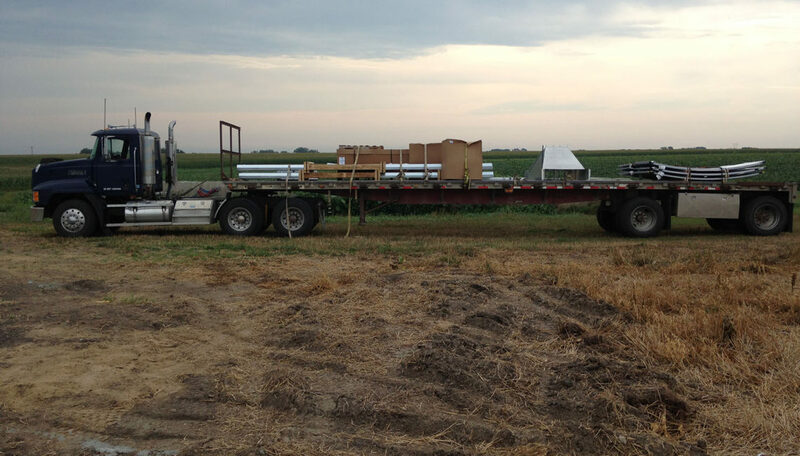 Delivering the bin to the job site.